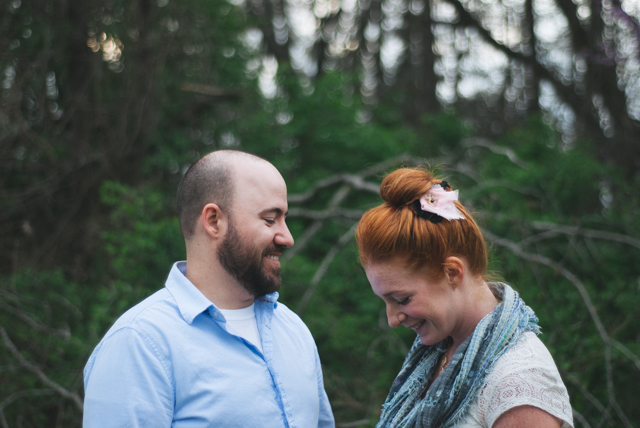 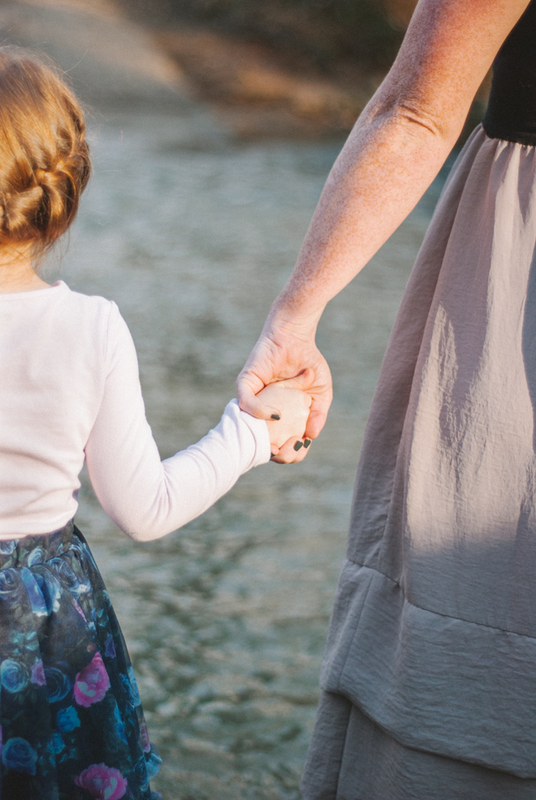 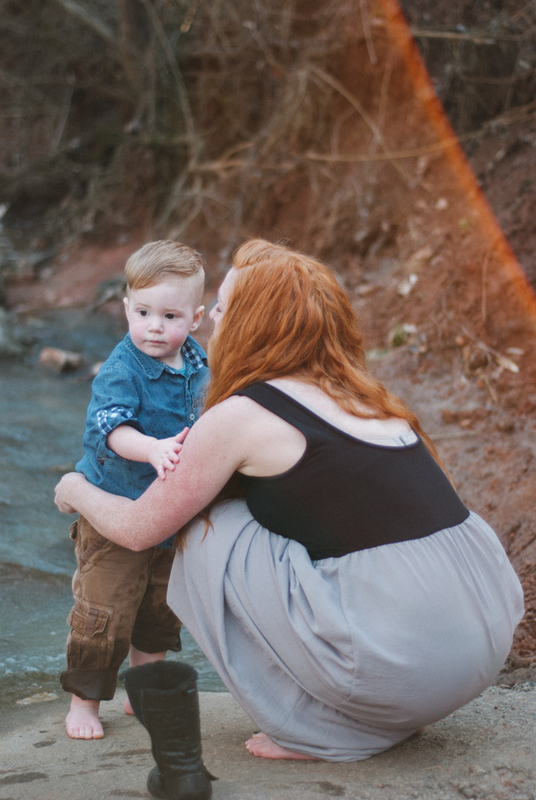 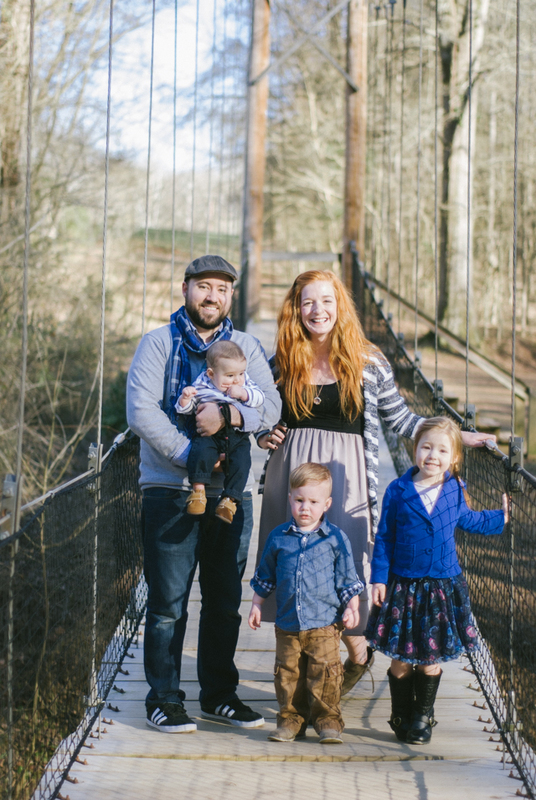 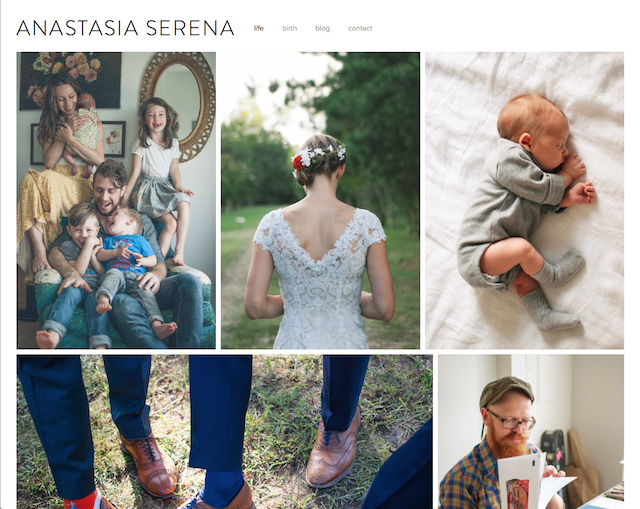 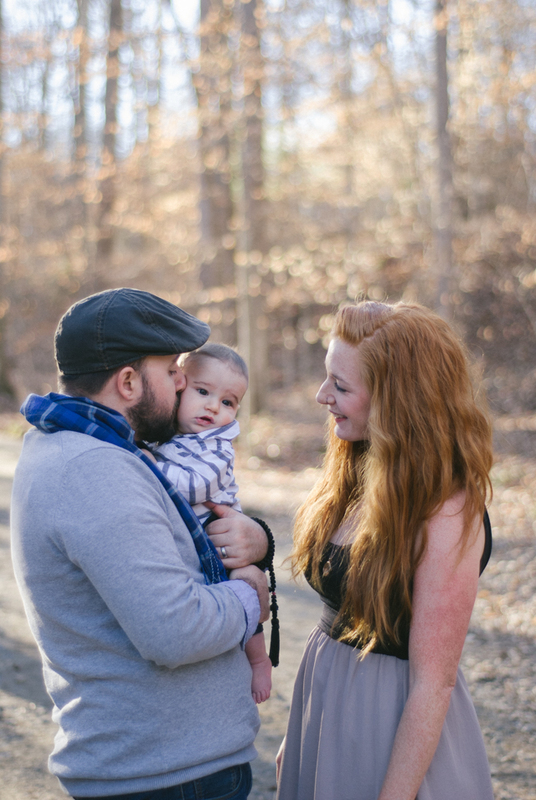 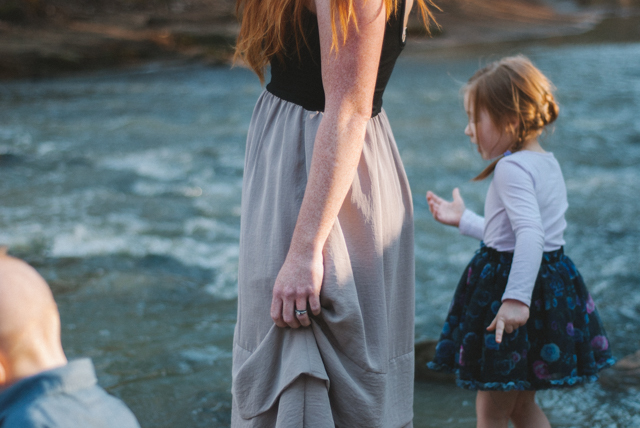 If you saw my last post, you've already seen Scott + Tabitha's cute family. 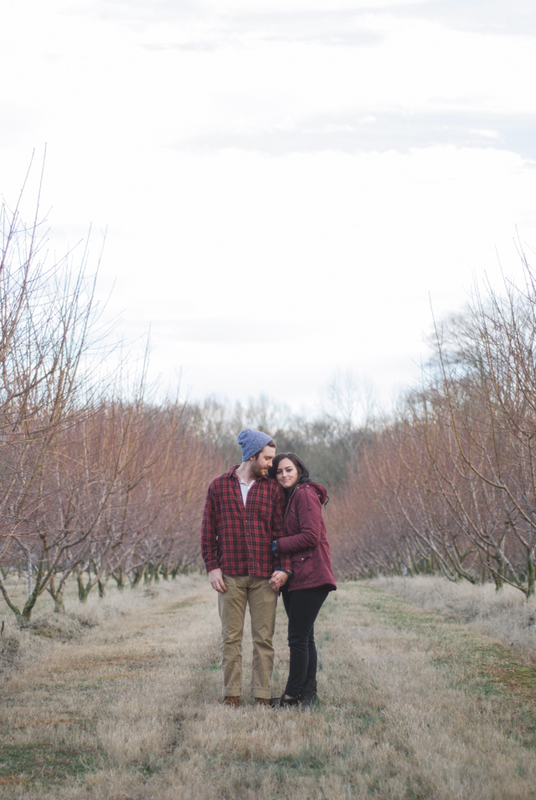 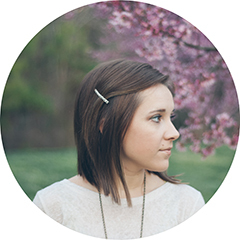 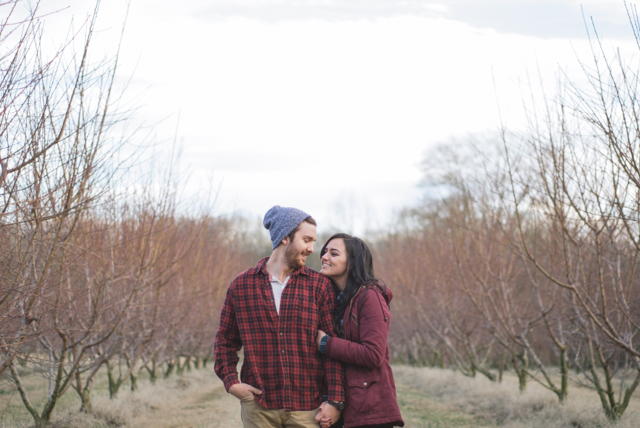 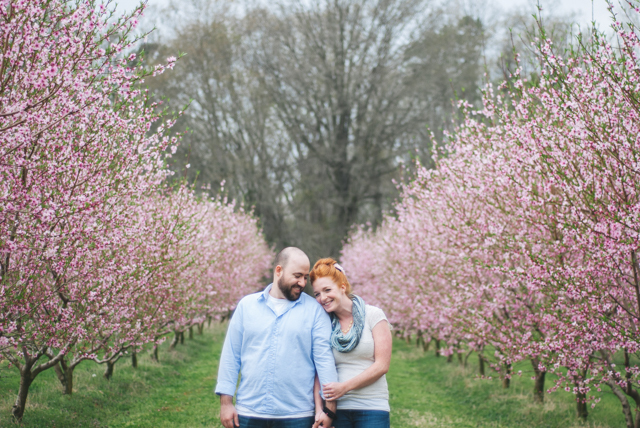 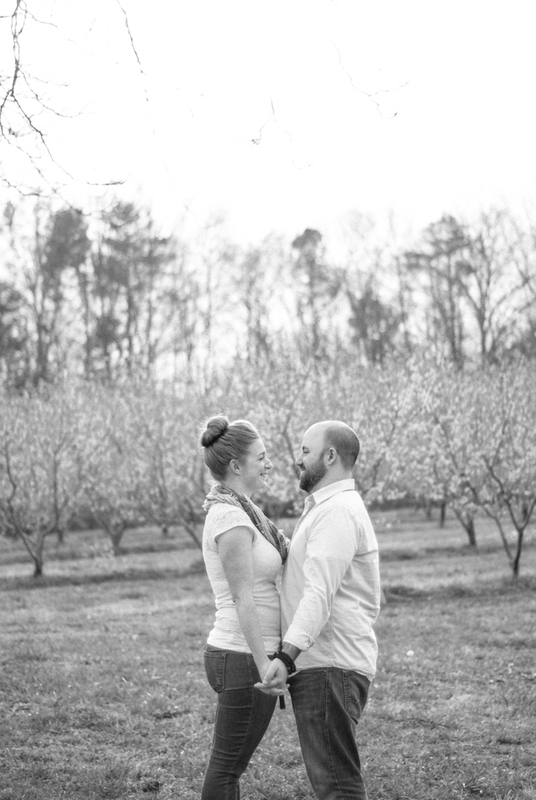 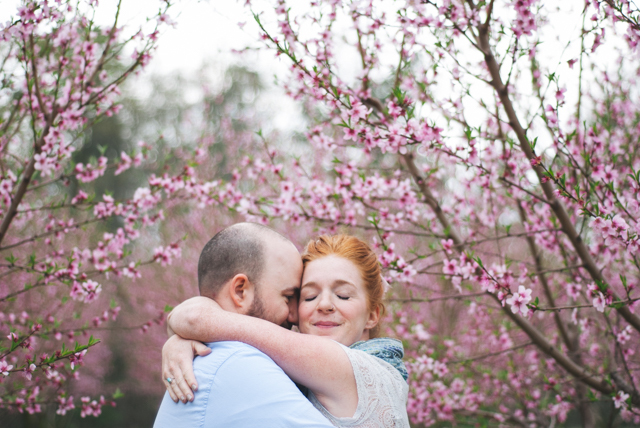 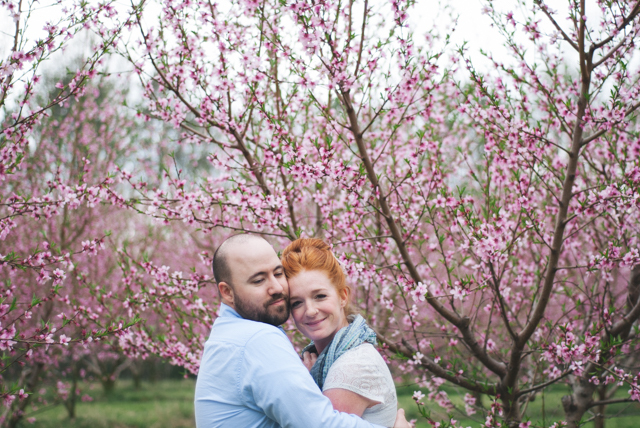 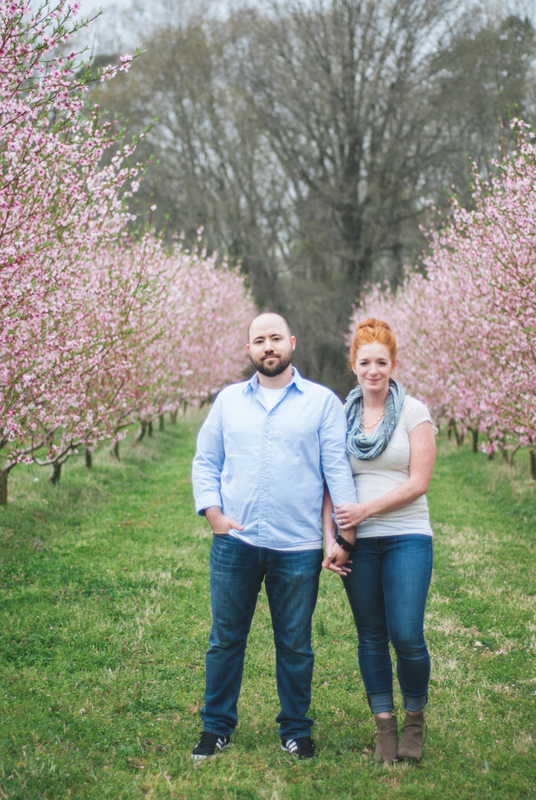 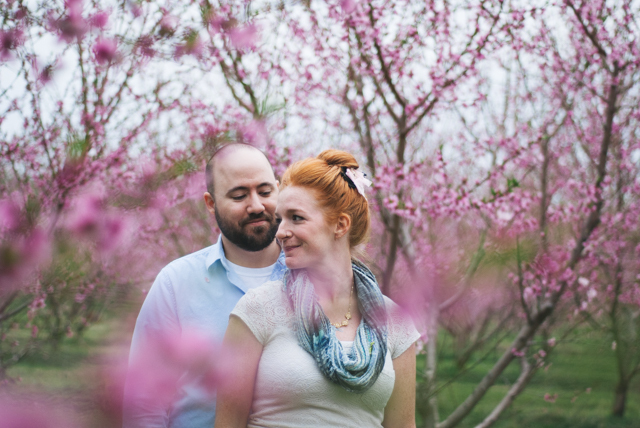 For a long time, I have wanted to take photos of a couple in a blooming peach orchard. 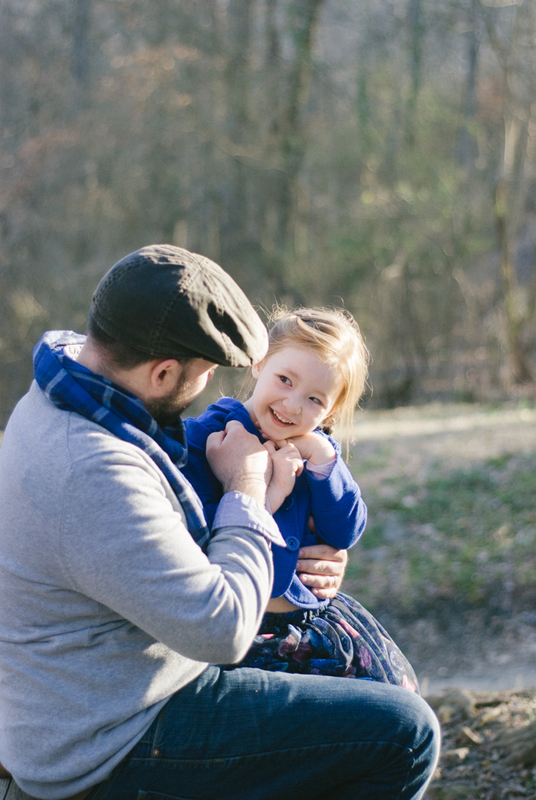 Since I didn't get any photos of just Scott + Tabitha during their family photo session, I decided that this was the perfect opportunity to accomplish both! 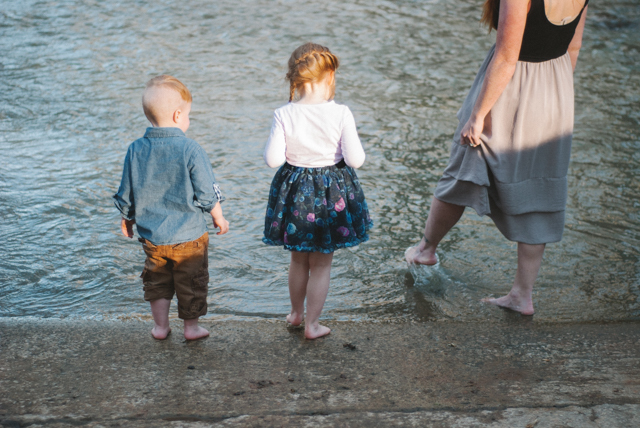 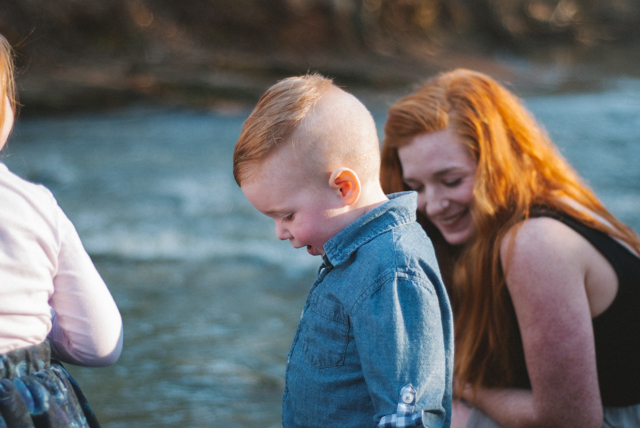 It has been while since I've blogged any new sets of photos, so I figured that this sweet family I recently photographed would be just perfect to get back into the swing of things! 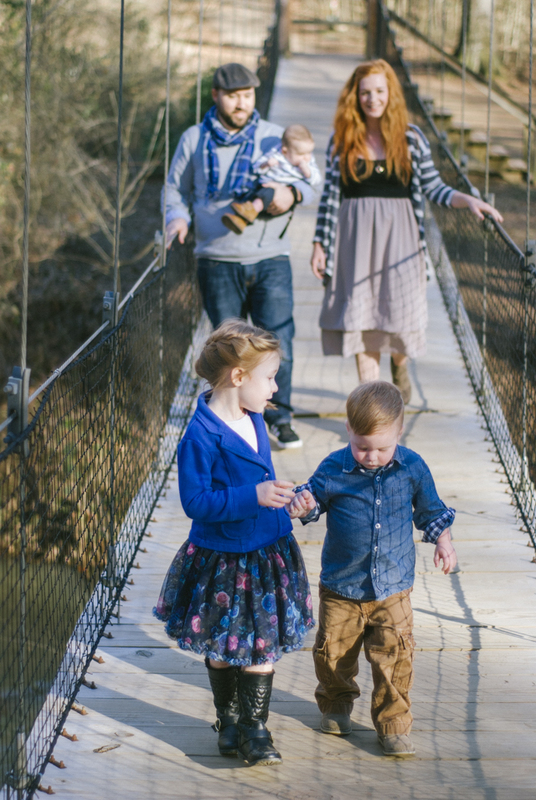 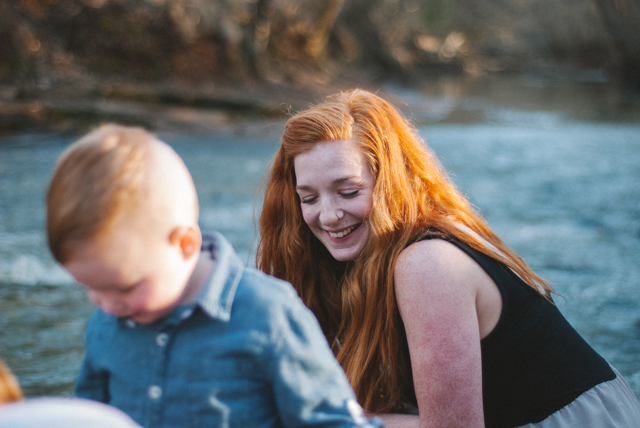 Oftentimes photographing families with young children can be tricky - how do you get everyone to look at the camera at the same time?! 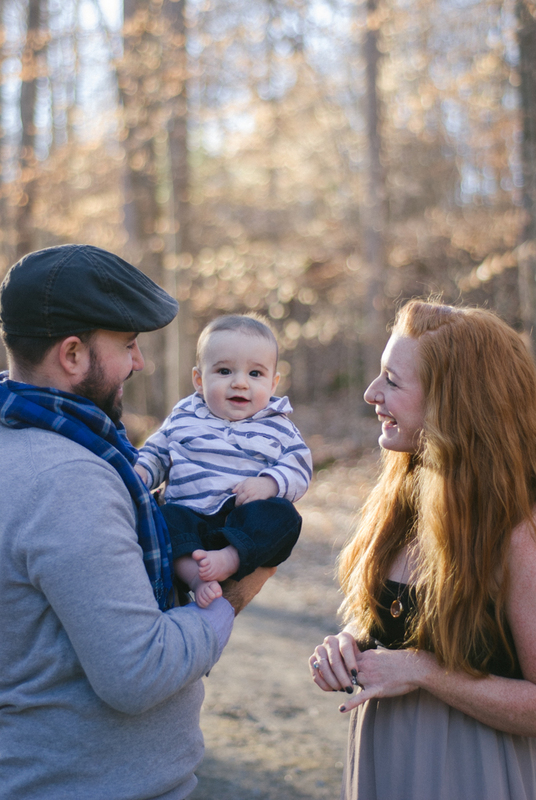 One of my favorite things about photographing families with (ridiculously cute) small children is that it is a great opportunity to capture more candid moments of the family having fun and interacting with one another. 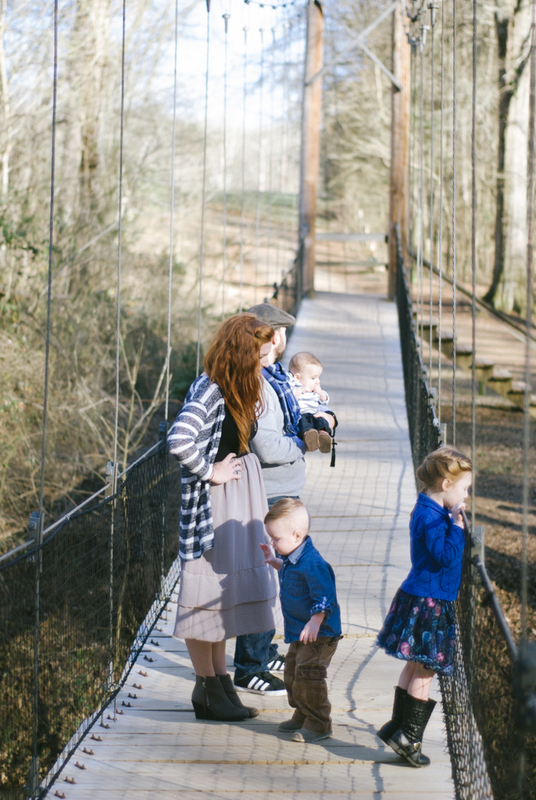 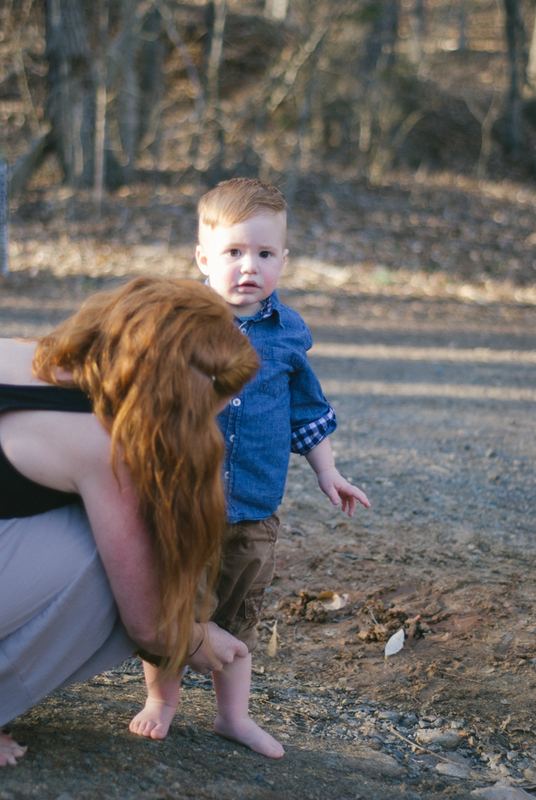 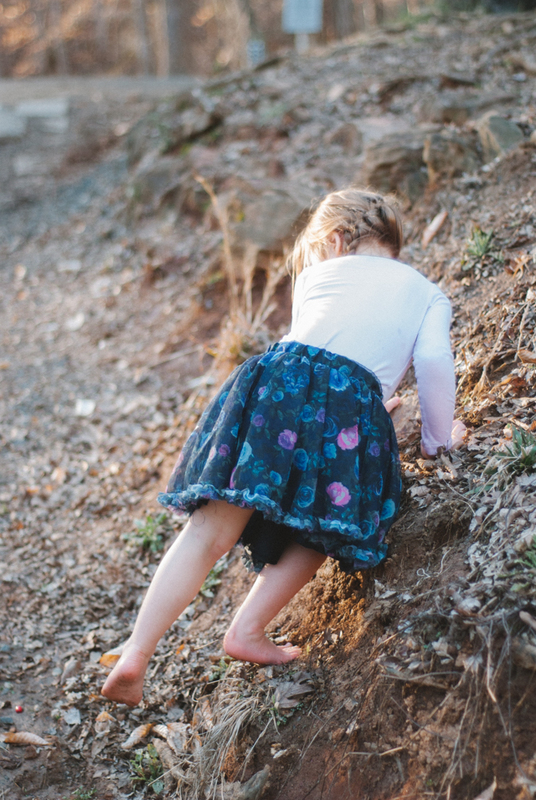 This is exactly what happened when the Swires family and I spent the evening at the greenway for their family photos. 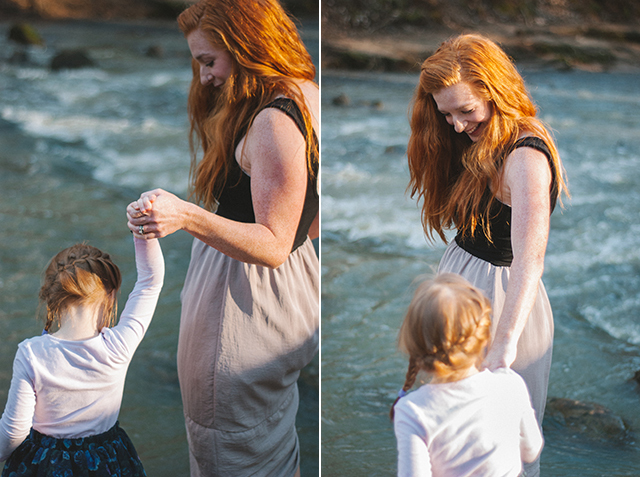 We got a few posed shots, and then let their kids play in the water and have fun. 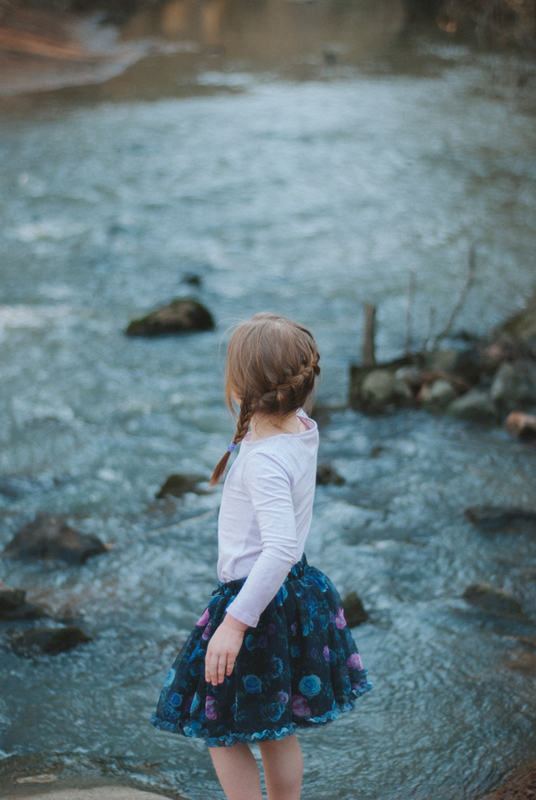 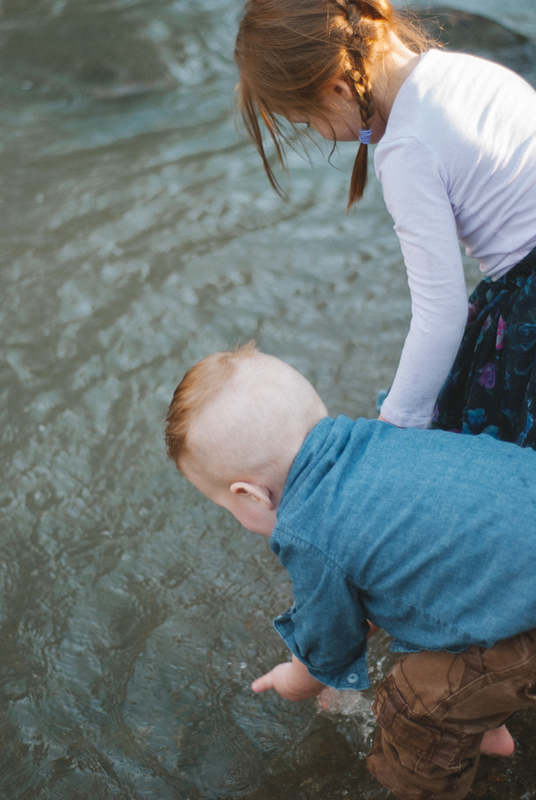 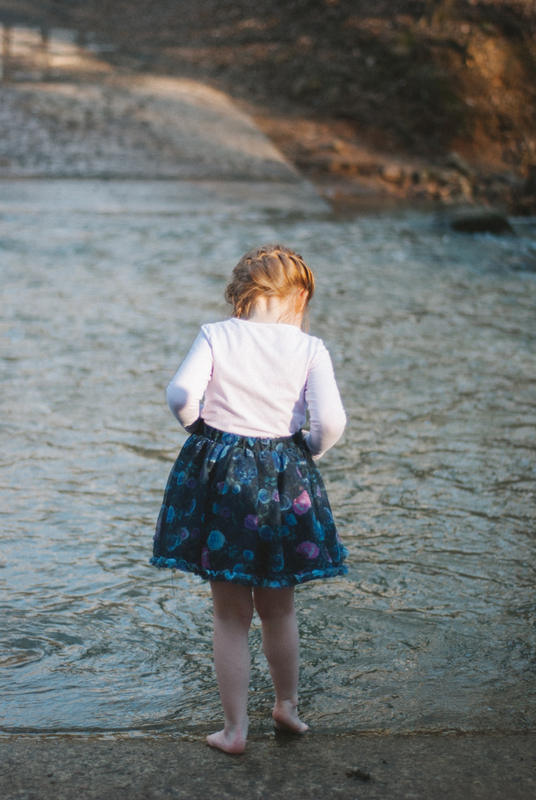 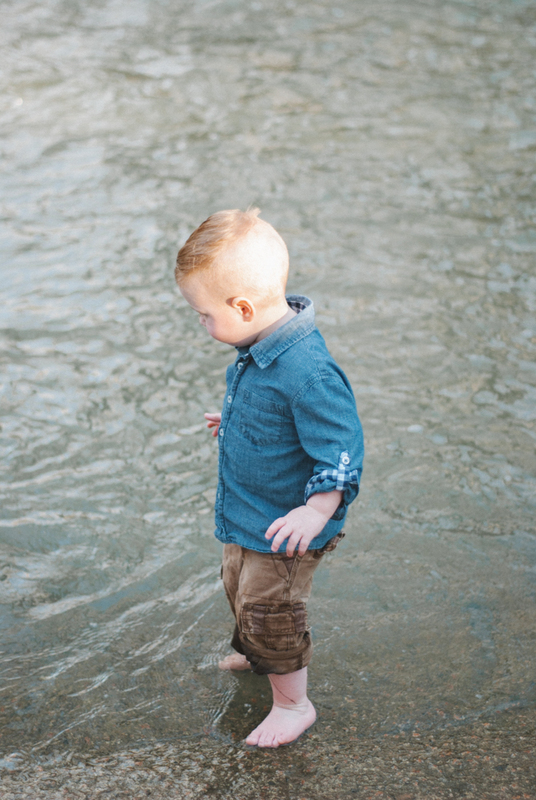 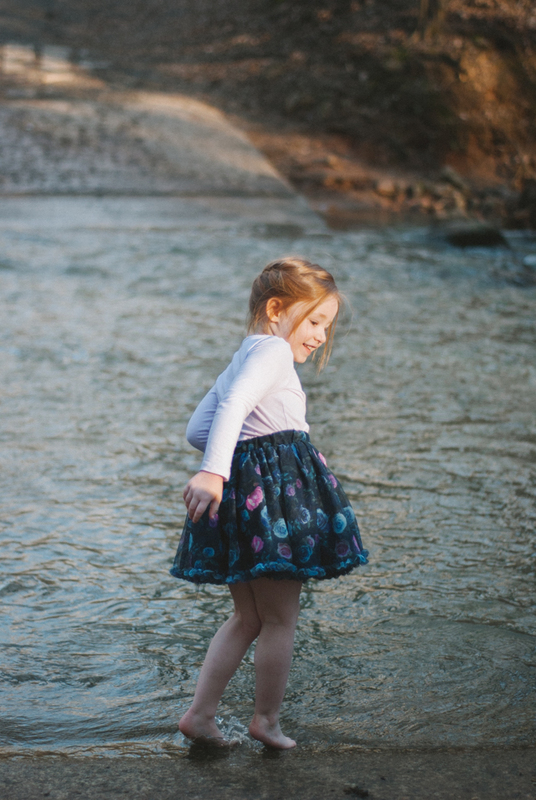 Those photos of them playing in the water are some of my favorite captures so far this year. 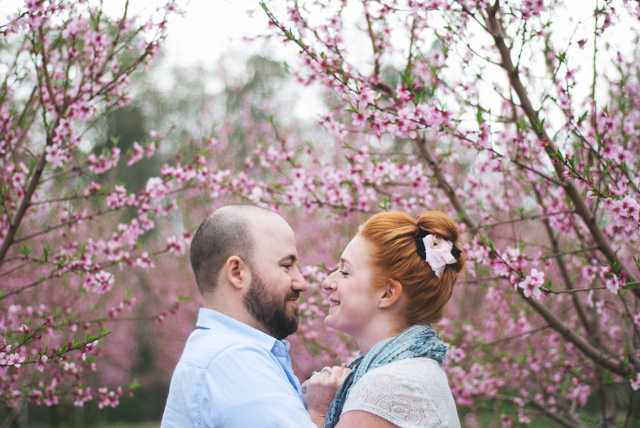 I hope you enjoy them, too! 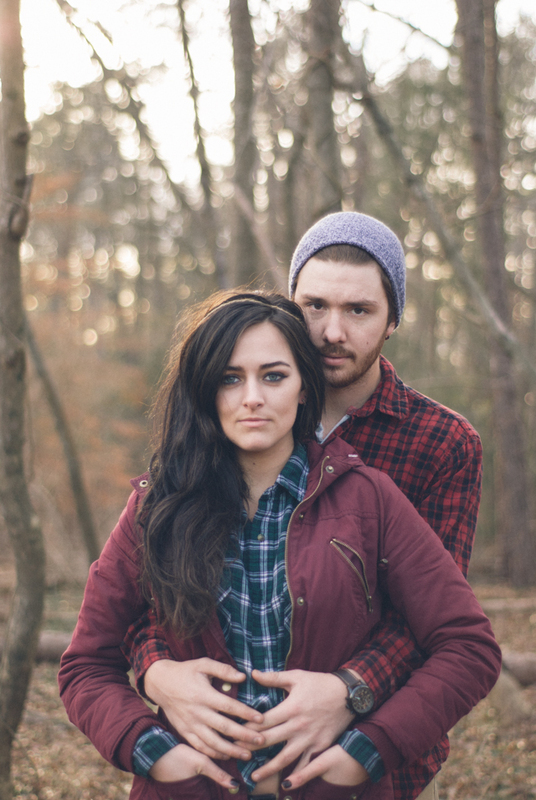 Levi + Anna are some of the sweetest people I know. 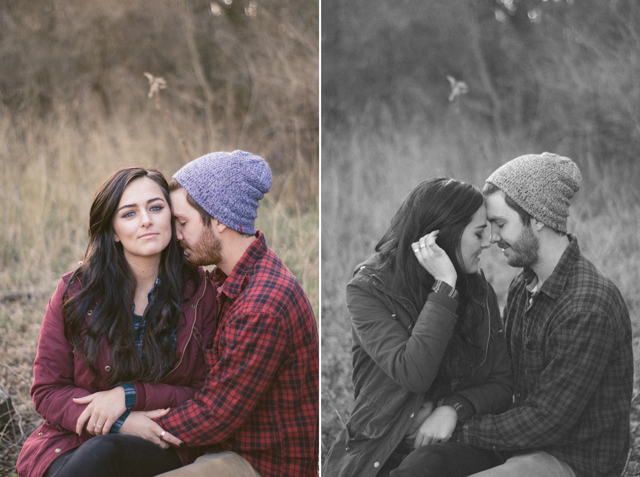 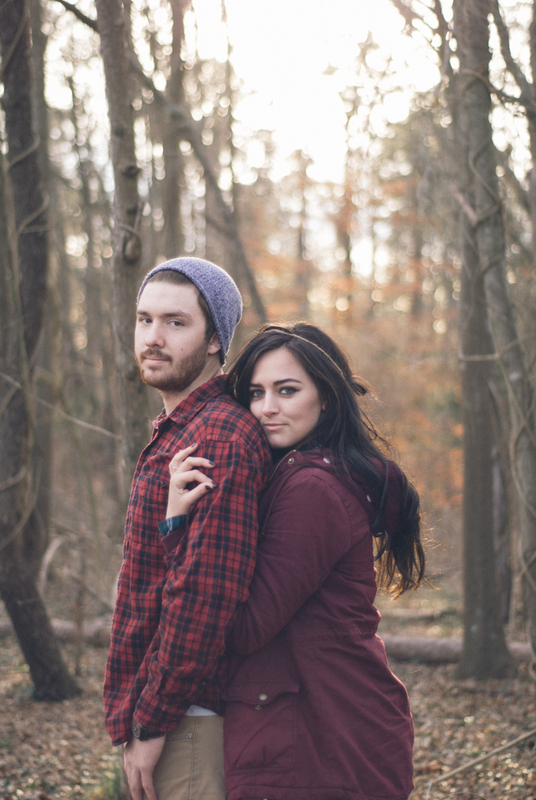 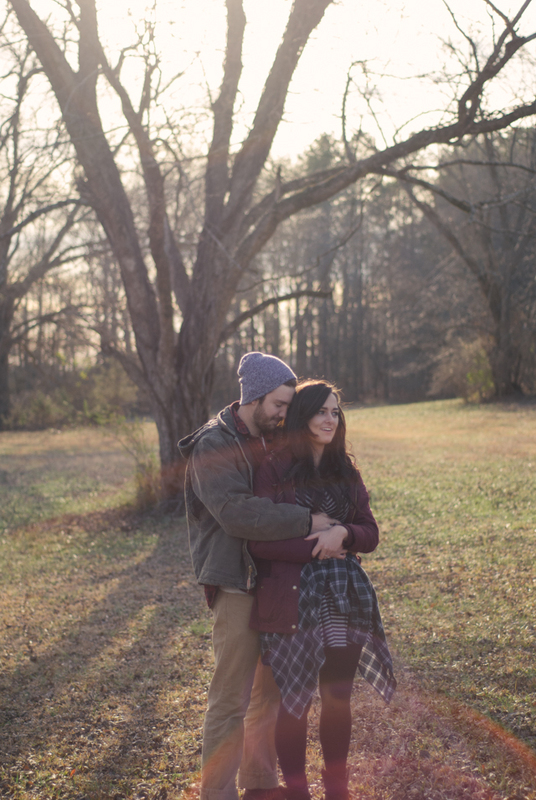 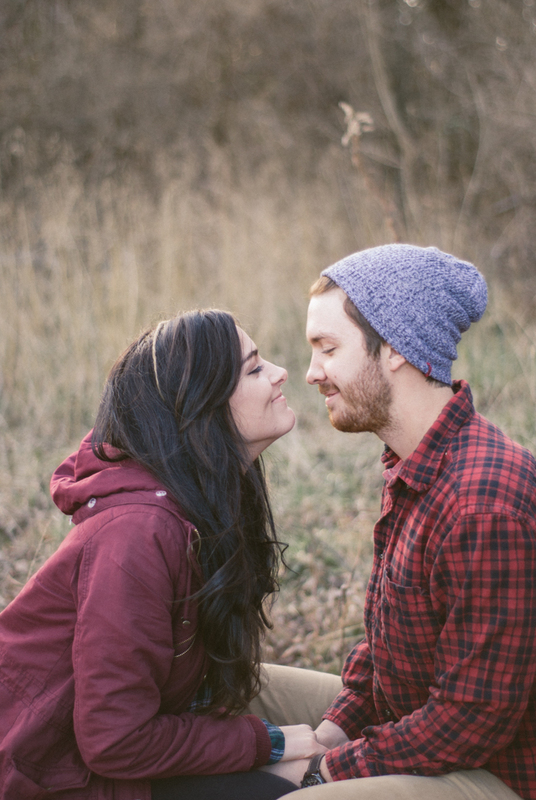 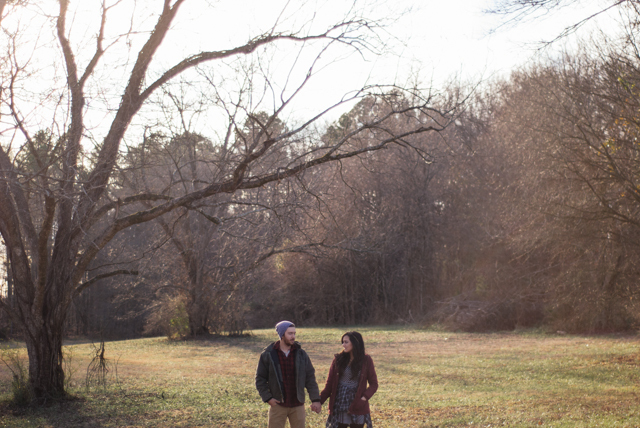 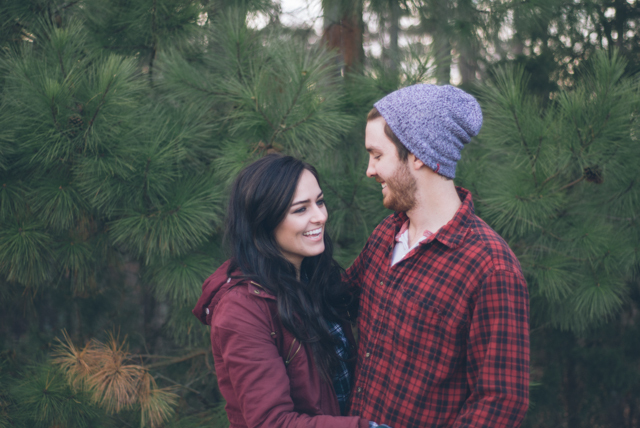 Last week I had the opportunity to take some engagement photos for them - they got engaged on Christmas Eve! 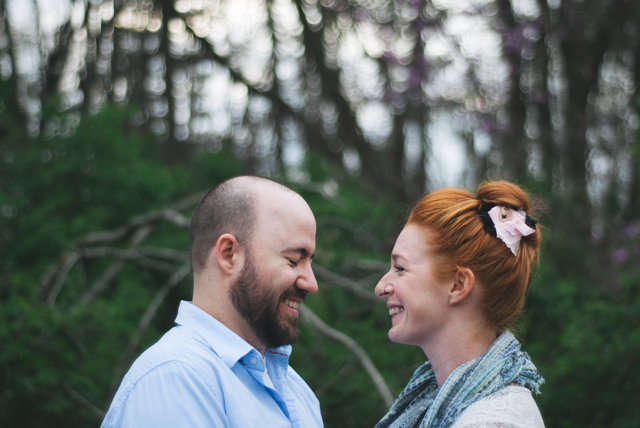 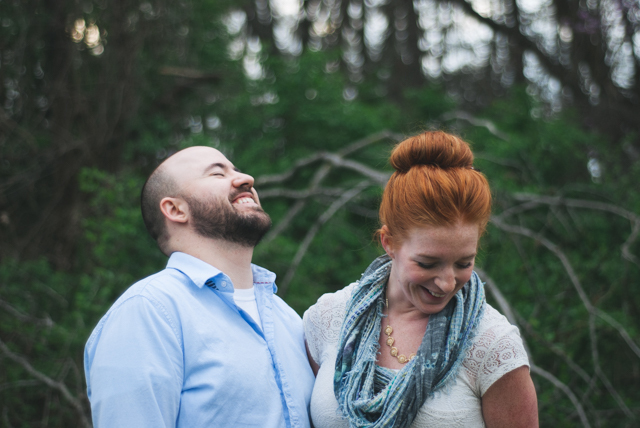 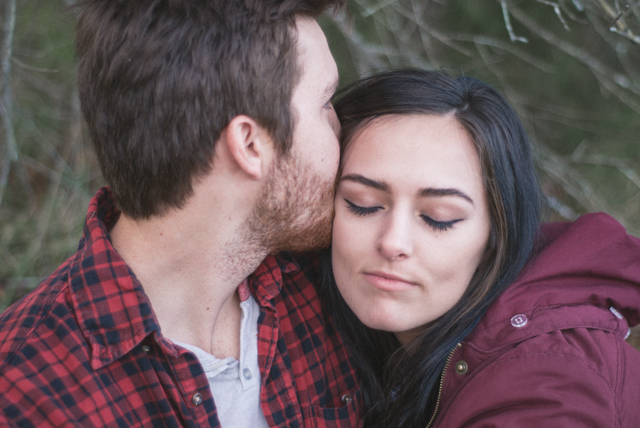 As soon as Anna texted me the news, I practically begged her to take their engagement photos. 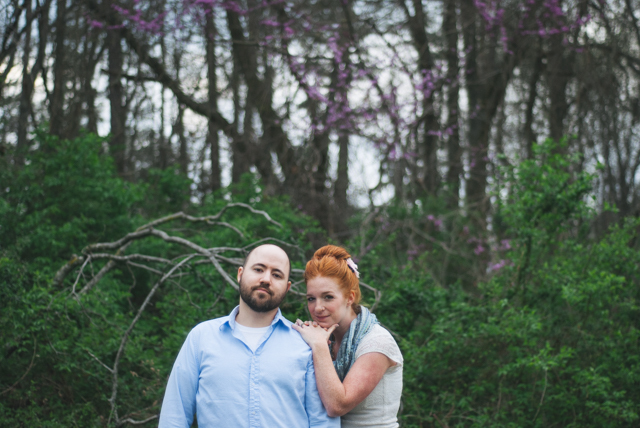 I've actually been wanting to photograph them for a while now (they're so fun and photogenic!) 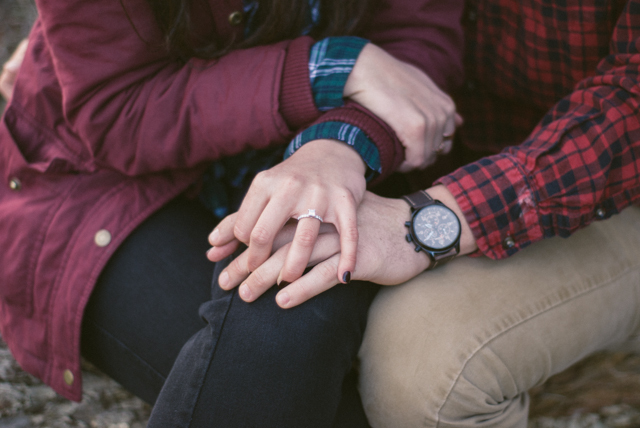 but was holding out until the big engagement. 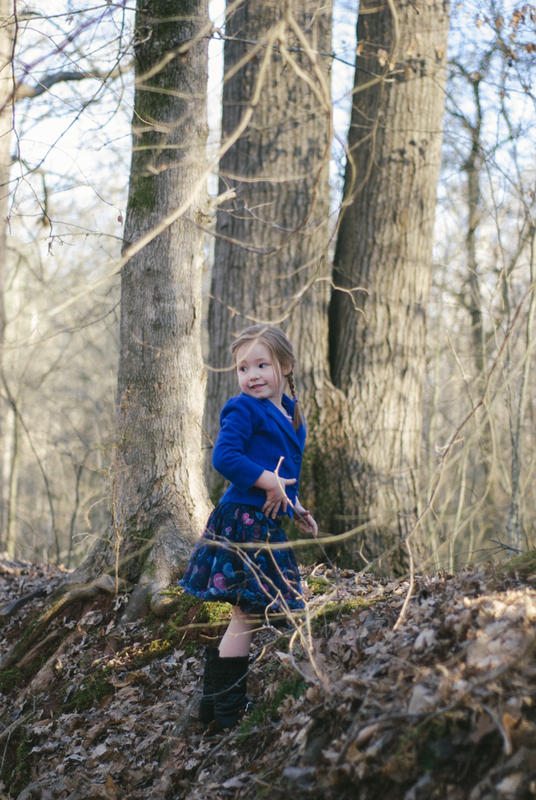 Even though we took these photos right in the middle of winter, we lucked out and had an unseasonably warm and sunny afternoon to take these photos.